Happy Birthday Thomas Hearns – The All-Time Great Turns 60 Today! Ring legend Thomas Hearns, the first man in boxing history to win world titles at four different weights, turns the milestone age of 60 today. Born in Memphis, Tennessee, Hearns made a name for himself as one of the most exciting, the most fearless, the most driven and, ultimately, one of the most beloved fighters in the sport’s history. Starting off as a skinny young kid who was able to stop just 11 of his amateur opponents, Tommy soon became known as one of the world’s most lethal-hitting welterweights. Trainer Emanuel Steward, at the famous Kronk gym in Detroit, taught his hardest ever working fighter how to sit down on his punches and the rest is history. A stoppage loss to future great Aaron Pryor was followed by a superb pro career that began in November of 1977. Most fight fans the world over are already fully aware of “The Motor City Cobra,” or “The Hitman’s” incredible achievements; how he knocked 26 of his initial 147-pound opponents flat on his way to his first world title fight. How Hearns seized this title with a truly stunning 2nd-round KO of Mexico’s Pipino Cuevas, and how he and archrival Sugar Ray Leonard met in 1981 in a hugely anticipated welterweight unification showdown. Hearns lost that one, after a most fabulous battle, but he won himself even more fans. Indeed, these fans, practically all of whom were incredibly loyal to Tommy, win lose or draw, would have a hard time telling you today just which of their hero’s myriad of fistic achievements is their favourite. For this writer, who lists Hearns as his undisputed all-time favourite fighter, it would probably be the night Tommy KO’d Juan Domino Roldan and won himself his little piece of history. In typical Hearns fashion, the Roldan fight of October 1987 had a few scares early on, with Tommy being wobbled by the bull-like Argentine, before coming on to get the knockout triumph. Now having realised yet another goal, Hearns was one of the ring’s immortals. Safely in the Detroit legend’s trophy case now were world title belts signifying wins at welterweight, light-middleweight, middleweight and light-heavyweight. Other fans may point to the terrific three-round war with Marvellous Marvin Hagler from 1985 as their personal favourite Hearns moment, others the shockingly quick crushing of Roberto Duran from the year before; while others still will talk all day about Tommy’s second, drawn fight, with Leonard. Tommy sure proved the experts wrong in that one. Without a doubt, there are too many classic Hearns moments to choose from when trying to list just one, and not all these highlights of a great career came in wining fights from the 6’1″ star. But that’s the beauty of Hearns, even if he lost he still gave his all and, on many occasions, a genuinely special performance – call it brilliance in defeat if you like. For after all the ups and downs (mostly ups), after all the world title fights, after all the different weight divisions he boxed in and after all the various comebacks, Thomas Hearns is known primarily as a real fighter; a fight fans fighter. Never once letting these fans down, Tommy is thus welcomed with cheers and a smile wherever he goes today. And Tommy always has time for each and every one of these appreciative fans, seldom has there ever been a more approachable and affable superstar of the ring. A great and truly special fighter. 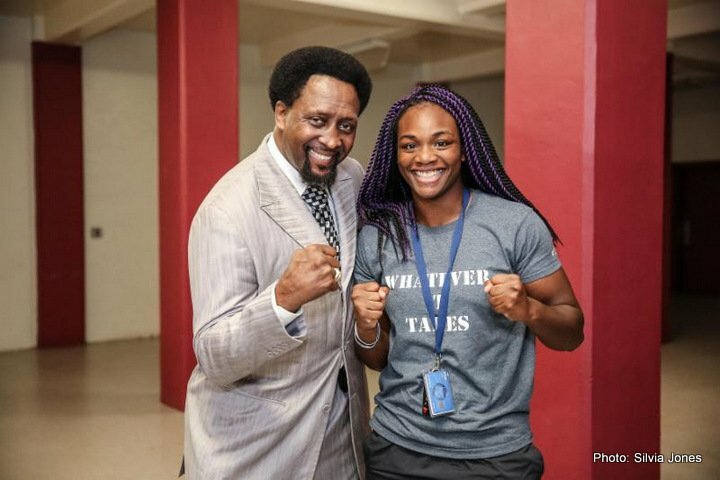 You are here: Home / Boxing News / Happy Birthday Thomas Hearns – The All-Time Great Turns 60 Today!